AN EPIC WOMEN'S CONFERENCE FOR FEMALE FOUNDERs, CEOs, SIDE-HUSTLERs, CORPORATE CHANGE-MAKERs, MOMPRENEURs, ENTRPRENEURs, and OVERALL GIRL BOSSES! Join us as we step inside the ultimate day filled with panels, masterclasses, curated connections, fabulous food, mimosas, bellinis, instagrammable installations, an amazing vendor village, swag bags, and a dope vibe! You are cordially invited to The New York Association of Black Journalists (NYABJ): FIRST TAKE NYC's Graduation and 30th Anniversary Brunch on Saturday, November 3 at 718 Live BK Lounge (1114 Fulton St. Brooklyn, NY). Since 1988, FIRST TAKE NYC's professional volunteers have educated hundreds of tri-state area high school students about the art of journalism. 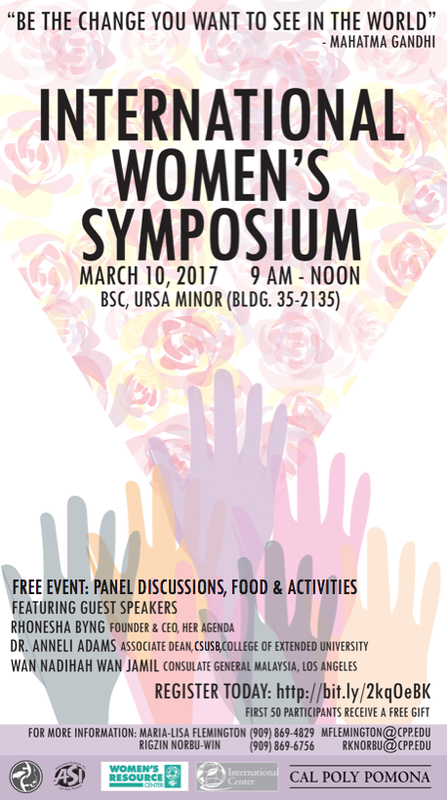 Special guests include FIRST TAKE alumni Rhonesha Byng (founder of Her Agenda). More guests to be announced. This event will continue FIRST TAKE NYC's #30for30 fundraiser. Half of the ticket price will go towards our commitment to training, mentoring and producing the next generation of journalists. Learn more about resources and opportunities available to University students. Join the discussion over dinner with a panel of startup co-founders who will share their unique paths to entrepreneurship and how they turned passion into a career of doing what they love. On January 18, we're bringing together the bold voices of some of Freeform's groundbreaking shows to discuss the issues everyone's talking about. From dispelling stereotypes of millennials, to navigating love in the age of smart phones, to having representation without venturing into exploitation, we're starting conversations about how sophisticated storytelling can inspire us to embrace cultural change. The event will have three panel discussions featuring some of the creative minds and stars of both fan-favorite and upcoming Freeform shows including grown-ish, Marvel's Cloak & Dagger, Siren, Alone Together, The Bold Type, and The Fosters. Also there? 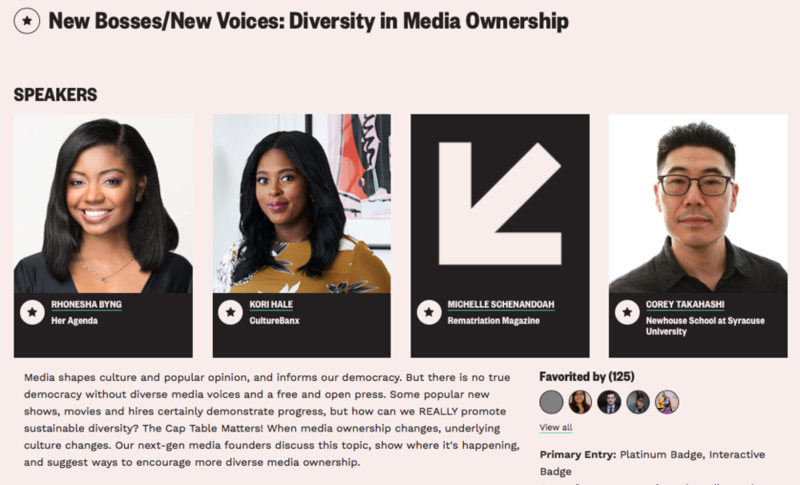 Key influencers, tastemakers and pop culture titans who are creating change through storytelling, mentorship and engagement. Buy a ticket to any performance and receive free entry to our Young New York pre-performance cocktail and networking reception. 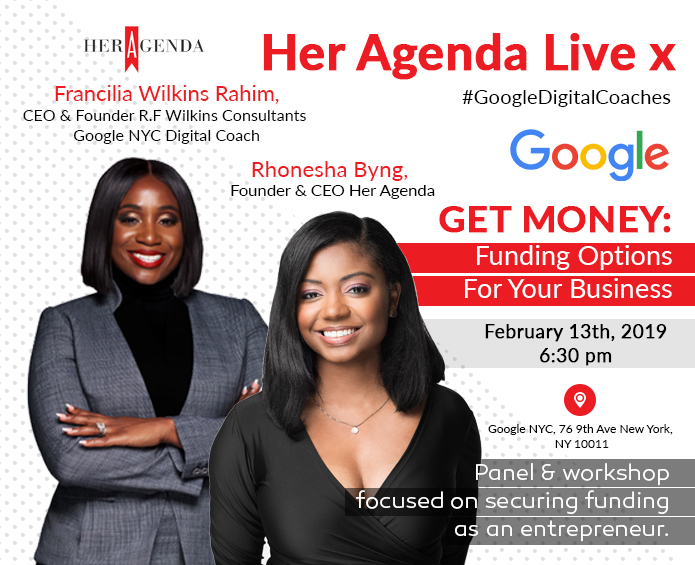 A conversation with Rhonesha Byng (CEO, Her Agenda; top 10 rank in Essence’s 50 Black Women Founders to Watch), don’t miss the chance to learn from and then mingle with the leaders of tomorrow. Ailey Young New York is an initiative to build younger audiences. For this event, the ticket purchaser must be age 21-30 (proof of age is required); their guests can be any age. Join Morra Aarons-Mele and Women@Forbes for the #BossMovesBookClub to discuss Morra's new book "Hiding in the Bathroom." Panelists include Rhonesha Byng, Ashley Ford, Katherine Goldstein and Cali Yost. There will be champagne, 20% off all Rebecca Minkoff items, and books will be available for sale. I’m excited to speak at Women@Forbes + Under30: Closing the Tech Gap. Along with MIT Solve, we’ll be exploring actionable solutions to closing the technology gender gap and accelerating women’s participation in the digital economy. Join us on October 1st at MIT Media Lab. I'm on the If We Ruled The World panel. The BIA Annual Meet & Greet is designed for over 200 black advertising professionals from industry leading corporations to connect over cocktails and conversation. Attending members will get to enjoy an exclusive tasting provided by llegal Mezcal, and a custom edible selfie station sponsored by Selffee. Join us for Accelerating Media Ventures, a panel discussion about media startups and how they can get access to the funding and accelerator programs they need to move their businesses forward. Student only event in Greencastle, Indiana. middle and high school aged girls all over the DMV (DC, MD and VA). setting, entrepreneurship, college readiness and financial literacy. This year marks our 4th Annual Conference and it will be held on April 29th, 2017 from 8:30am-3pm at Catholic University of America in the Pryzbyla Student Center in Washington, DC . Black women receive more degrees than any other group in the U.S. and they are the fastest growing group of entrepreneurs. The story of Black women is that of ambition, thriving… of ge(e)nius. GeenieBox is a women’s empowerment subscription service profiling Black women who have redefined, remixed or leveraged identity (womanness, blackness, black womanness) for growth. Each month, an iconic woman shares a slice of her journey through a curated box featuring a book, beauty/productivity/wellness products, and VIP experiences (webinars, museum circles, events and more). GeenieBox is an exploration into how powerful Black women come to be and make magic in the world and how they work with each other and peers to level up. For Geenies, identity is power. 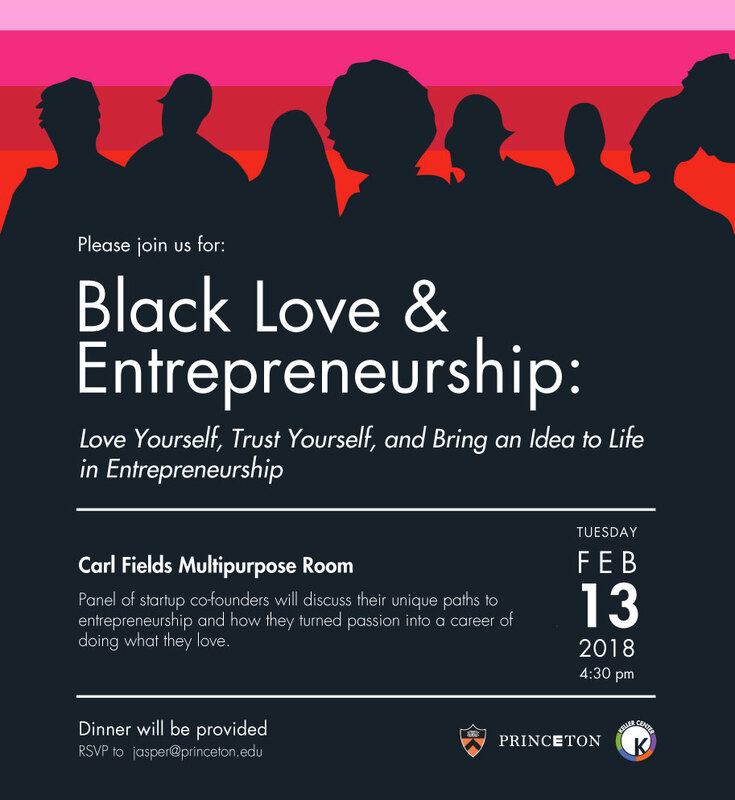 In this Google Conversation, we’ll meet four Geenies via Lightning Talks on Imagination and Innovation, Personal Disruption, Joy, and Financial Freedom and a Panel discussion on the recent trending topic, Black Women at Work. This elegant annual event celebrates NFTE's extraordinary teachers and alumni from around the world with our Global Young Entrepreneur and Global Enterprising Educator Awards, as well as our Volunteer of the Year award winners, and featuring a panel moderated by Forbes Editor Caroline Howard of #30Under30 entrepreneurs. Over 400 attendees will have the chance to visit our young entrepreneurs' and teachers' exhibit tables and learn all about their businesses and their local NFTE program while sampling delicious hors d'oeuvres and cocktails. The fifth annual Lady Project Summit on March 25 at The VETS Memorial Auditorium in Providence, RI! The Summit brings together over 300 driven, entrepreneurial women for a day filled with inspiring speakers, professional workshops and so much more. Check out ladyprojectsummit.com for a list of our amazing workshop leaders and descriptions, panelists, partners, full schedule and more. Check in starts at 7am where you can enjoy breakfast and coffee by New Harvest Coffee, visit the Lady Project Shop by Craftland and more! After breakfast, we'll hear from our opening keynote speaker, Lisa Jakub, and head into our first few workshop rounds. After lunch by Ellie's Bakery, we'll have three more workshop and panel rounds, followed by closing keynote speaker, Rhonesha Byng from Her Agenda. The purpose of this panel is to highlight the extraordinary work of professionals in the news/press industry and to illuminate the importance of having Black press professionals and platforms to elevate the voices, stories and experiences of people in the Black diaspora.